2018 could well be their year. 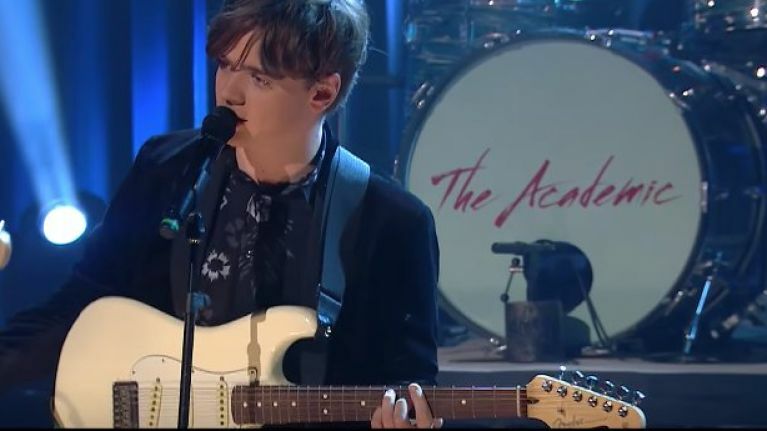 Westmeath indie outfit The Academic hit up The Late Late Show on Friday night, hours after the release of debut album Tales From The Backseat. They had their work cut out for them on a notably newsworthy edition of the show, arriving after Liam Neeson's controversial comments regarding the #MeToo movement and a rather puzzling segment involving a bin. Oh, and there was also an appearance from former White House Press Secretary Sean Spicer, which got people talking. Tough to stand out amongst that crowd, but The Academic managed to win the day with a rousing version of 'Bear Claws', a song you've probably heard of after it went viral following a clever Facebook Live version in October. Check out the Late Late performance below.